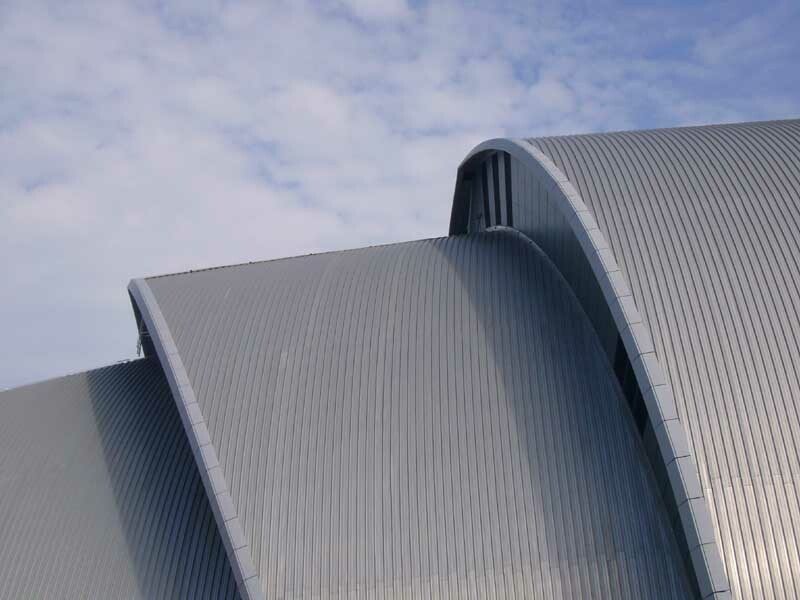 This architectural intervention into the fragmented morphology on the northern edge of Glasgow City Centre represents a true collaboration between the Architect, Landscape Architect and Artist to create a piece that generates experiences and excitement at every turn. 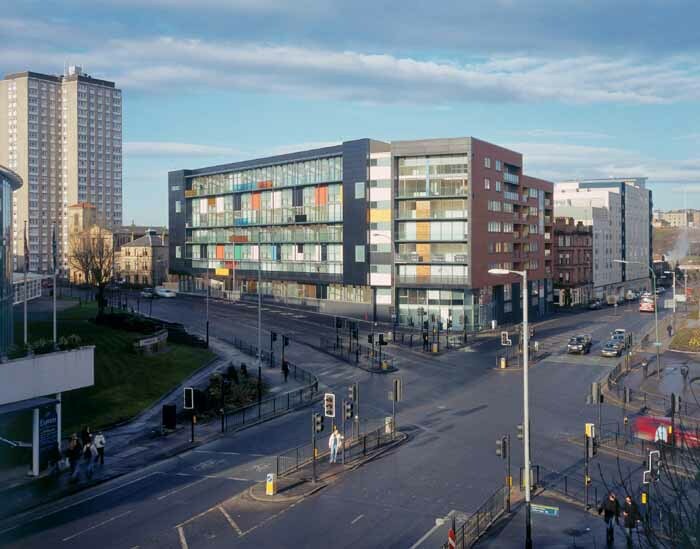 The commission was generated out of a Glasgow City Council sponsored design competition for a triangular grassed and treed site fronting onto busy roads and a significant traffic junction. 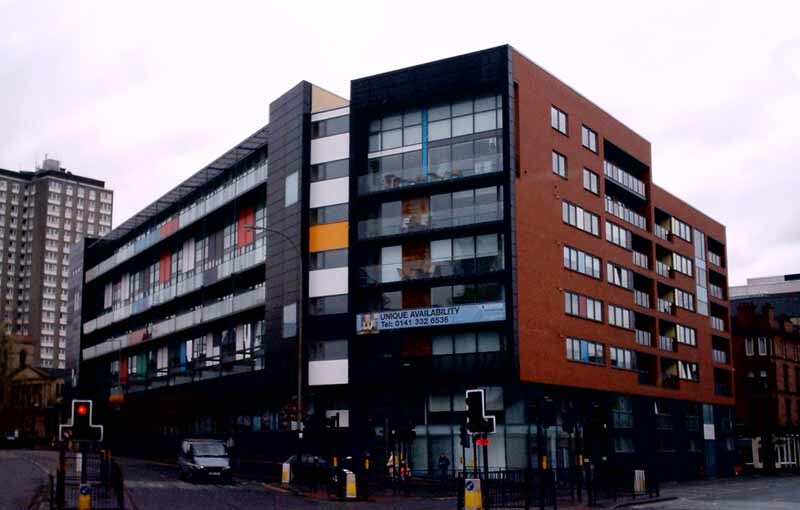 The client gave its design team a free hand to generate a landmark statement, this opportunity was seized by the team to maximise the sites potential in terms of its architectural and commercial return. 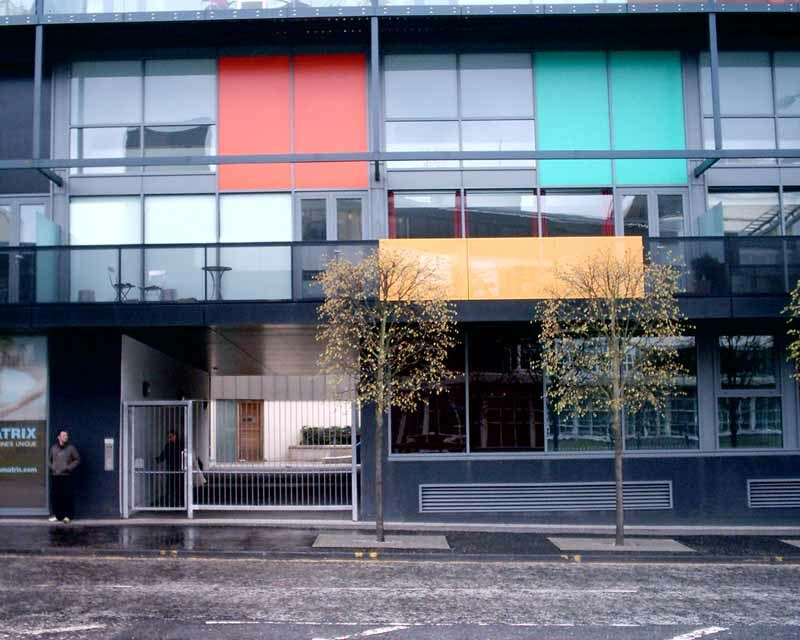 The Matrix brief requested a mix of flat types with the opportunity for café / bar and office accommodation. Car parking was to be incorporated. 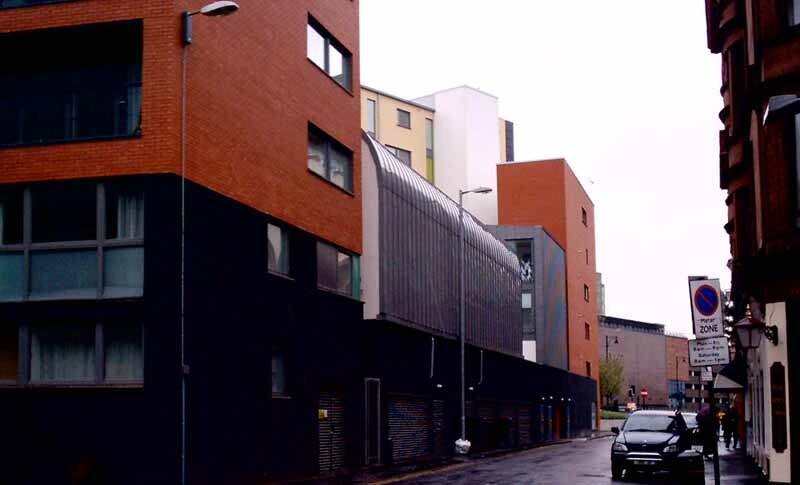 The architectural response to a brief that restricted the building heights to 7 storeys was to exploit the edges of the site for built form and to use the nature grain of the site to tuck car parking and ancillary accommodation into a lower ground floor recessed from McPhater Street. The major three elements that define the Matrix building footprint which contain 73no apartments have interlinked but distinct characteristics. The Cowcaddens Road block has inspiration drawn from Corbusier’s Unite d’habitation where two internal, naturally lit and ventilated streets serve the six storeys above ground level. This device allows for a pleasing variety of duplex flats which wrap over and under these ‘skewers’ of movement. 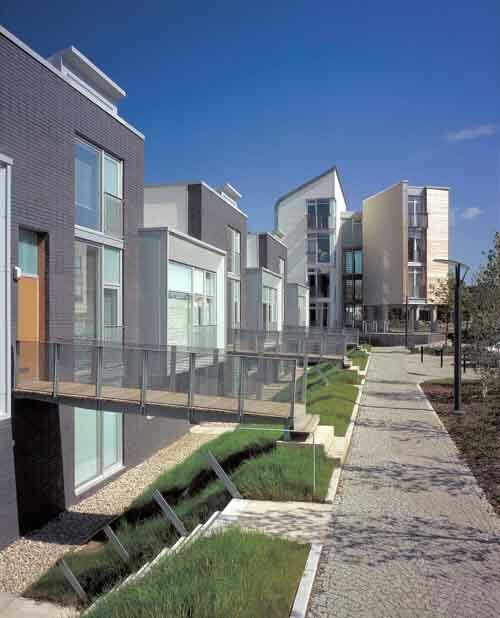 Only two stair and lift cores serve these streets which offers a significant commercial advantage over a traditional stairwell and coupled flat arrangement. 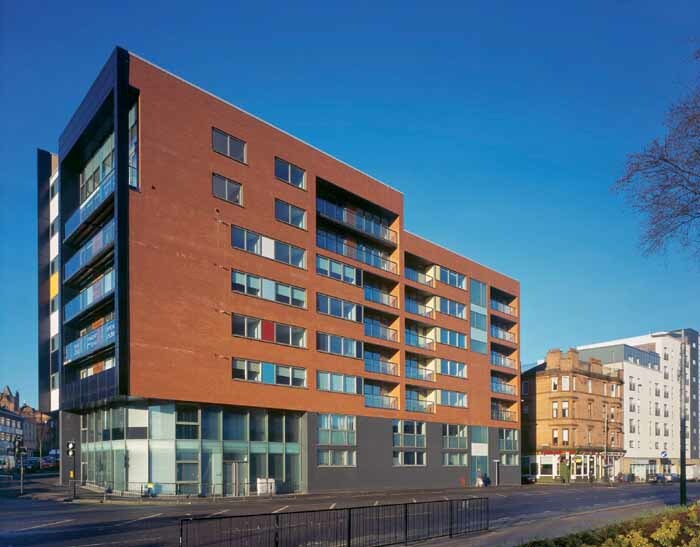 The flats enjoy double height living spaces and large glazed south facing elevations with useable destination balcony spaces. 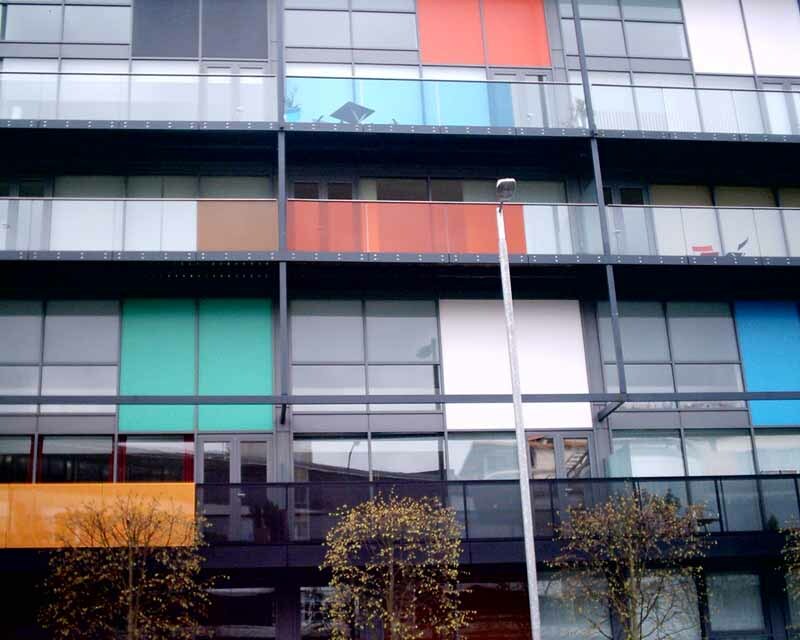 The end flats at either end of the streets enjoy enhanced space through the plan form and those to the west fronting onto the new café public square reveal the section of the building on the elevation. 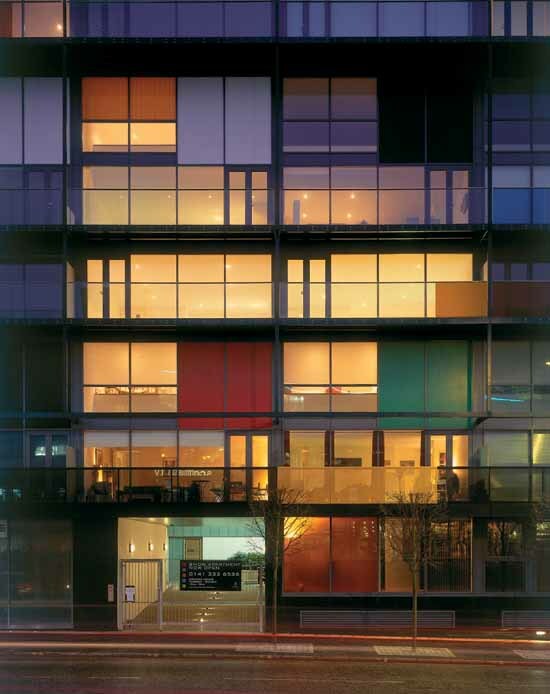 The internal streets are articulated on this ‘plaza’ elevation by coloured glazed screens that glow vibrantly at night. 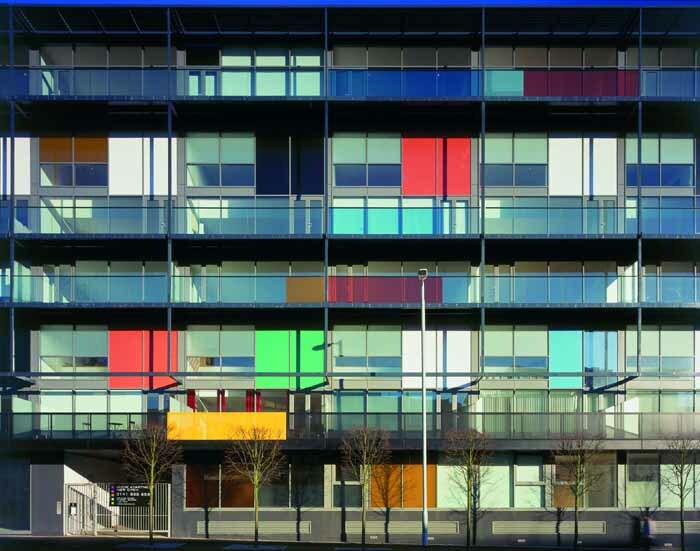 The use of colour, texture and architectural layering to generate a striking elevational composition was carefully considered by the team, so that the architecture became as the marketing strap line – ‘Art to live in’. The Port Dundas block with its articulated red facing brick façade makes a gesture to the adjacent flat roofed red sandstone tenements, while the pieces to the smaller scale back street of McPhater Street turn themselves into the courtyard garden for privacy and view. 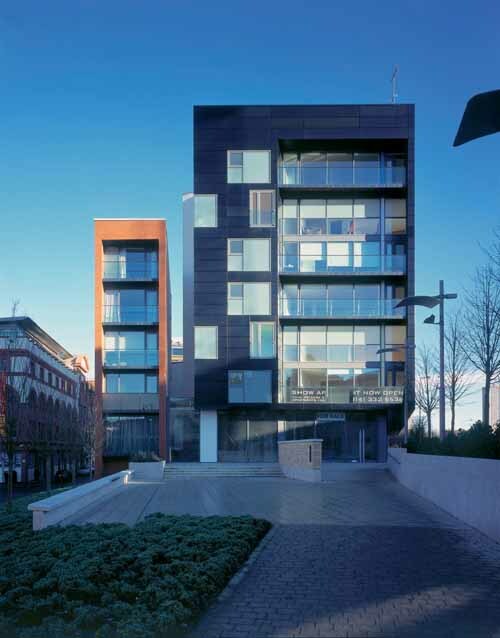 There are three different elements here running east to west the mews flats, tower house and companion block all designed to maximise their potential. 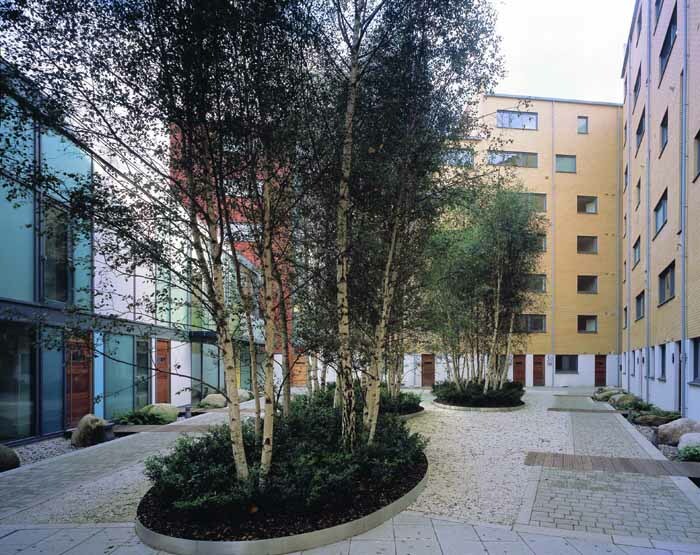 The mews flats are highly glazed and shelter under a sensual curving roof. The tower house is a family house over three levels with a private courtyard garden, while the companion block has compact one bedroom flats and a duplex flat over looking the public square contained in its narrow vertical form. At the centre of the architectural piece literally and metaphorically is the courtyard garden where the team strived for an animated and delightful space held within cream facing brick, glass and rendered edges where light and interaction would be plentiful. The space is an oasis of calmness and serenity when entered through the transitional space of the pend which with its gently rising ramp buffers the garden from the noise and vibrancy of the city beyond. The experience of moving towards, into and through the Matrix is a journey of expectation, changing rhythm and anticipation with the final destination being the calm, airy interiors of the apartments where the residents are rejoined with the city. The Matrix is an essay in the phenomology of architecture for the pleasure of the residents and the benefit of the city.